Buy a pre-owned Ram, Jeep, Chrysler or Dodge at our Jeep dealership near Stephenville, TX, and upgrade your drives for less! Our Texas Dodge dealer has a variety of used cars for sale, so hurry in to shop our used car inventory today. We can get you the keys to a pre-owned Ram truck or a used Jeep SUV all without hassle. Simply test-drive a Ram 1500 pickup, used Jeep Grand Cherokee or pre-owned Dodge Durango and finance a used car. We sell used cars under $30,000 and stock pre-owned cars from other makes and models to ensure you enjoy an unmatched selection. 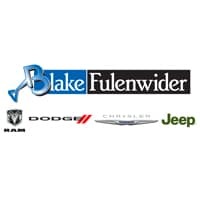 Whether you want to finance a used Ram, buy a pre-owned Jeep or shop for a used Dodge or Chrysler, Blake Fulenwider Dodge is there!